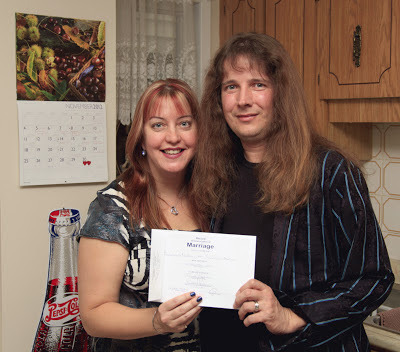 The best part of 2012, marrying Rob. It wouldn't be a stretch to say that 2012 was the best and worst year of my life. A lot of great things happened, but the worst thing happened too, but life keeps moving forward and so do I.
January- Nine months after her diagnoses, my Mom succumbs to complications from brain cancer. Nothing in my life has changed me more as a person then losing my Mom, and it is the worst thing that as ever happened to me. 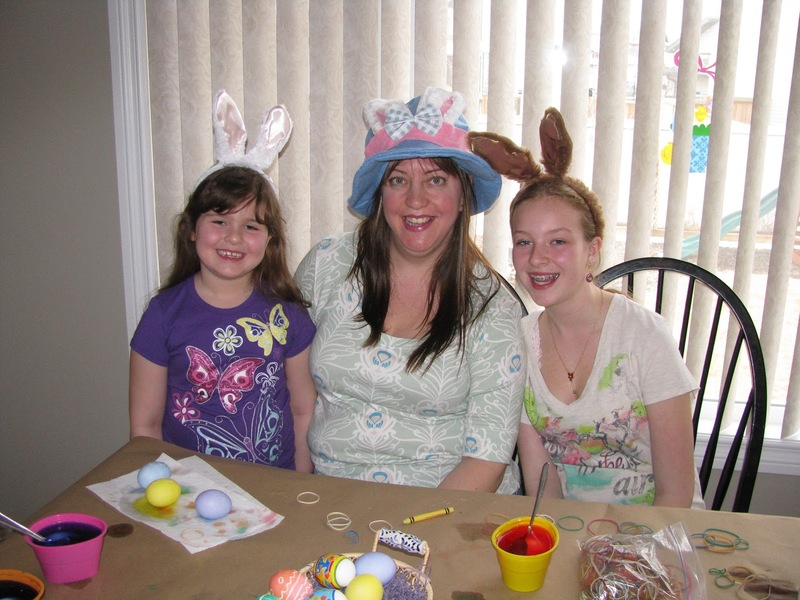 So many things I wish I could still talk to her about. When I was 19 years old she put me on a train for Toronto, sensing I would have a good life here, I do my best to do that for her, living a full life is my way of honoring hers. 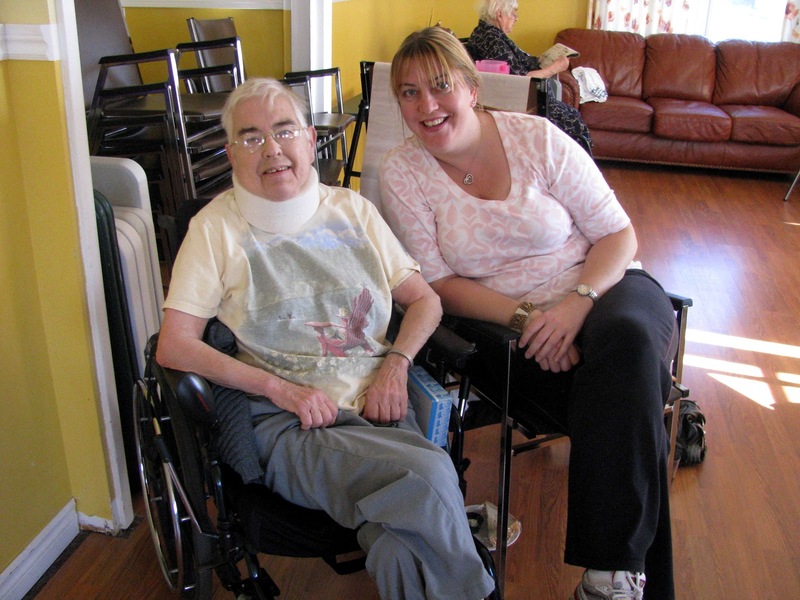 Taken in October 2011, when I spent Thanksgiving week with my Mom, the last time I would see her. February- Rob and I join our friends, Jim and Lynda, for an Algonquin winter weekend away. 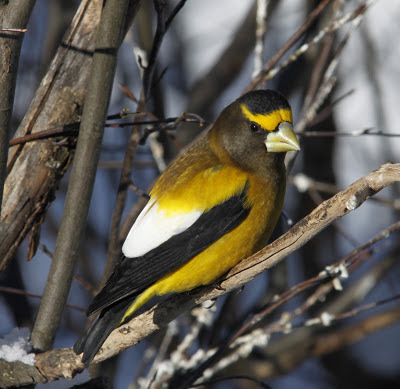 First "lifer" of 2012, Evening Grosbeaks at Algonquin Park. March- We volunteer for the second time at the Toronto Sportsman Show with the Canadian Peregrine Foundation. 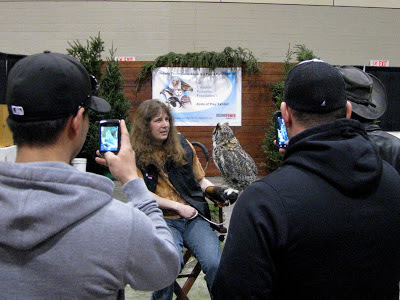 Rob educating the masses about birds of prey. April- I take my first, of what is going to be an annual trip to Alberta for Easter to spend time with my brother and his family. Having some Easter fun with my nieces! 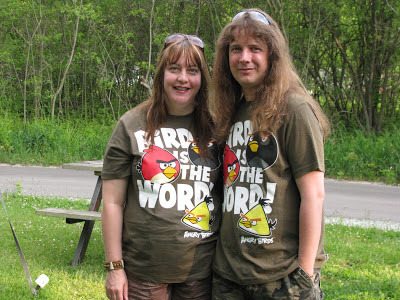 May- As any birder knows, May is all about the birds! Spring migration is in full swing. We take our 2nd trip to Point Pelee National Park with Jim and Lynda and spend much of our two week vacation chasing birds. 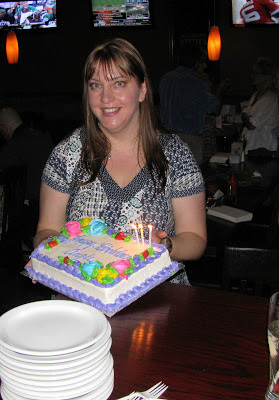 June- I turn 43 and have a party with friends to celebrate. Happy Birthday! It was fun celebrating with friends. July & August- Most of our weekends are spent enjoying the backyard and we also did a couple summer road trips. 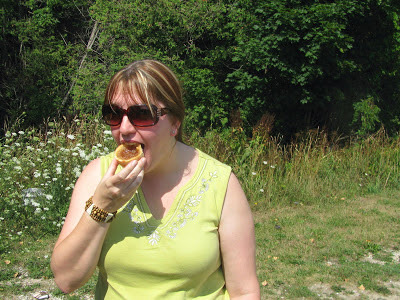 Enjoying a butter tart on one of our summer road trips; The Butter Tart Trail. September- We celebrate Rob's 43rd birthday in Muskoka, as per usual. And I surprise him with a private outing to see a "raft" of Loons in Algonquin. We also have our 2nd tour of the Owl Foundation and are thrilled when we get to see 3 young Snowy Owls. 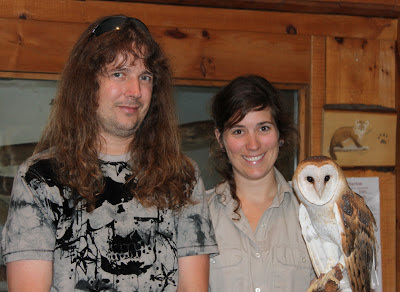 Re-sponsoring "Silo" the Barn Owl at the Muskoka Wildlife Centre on Rob's birthday. 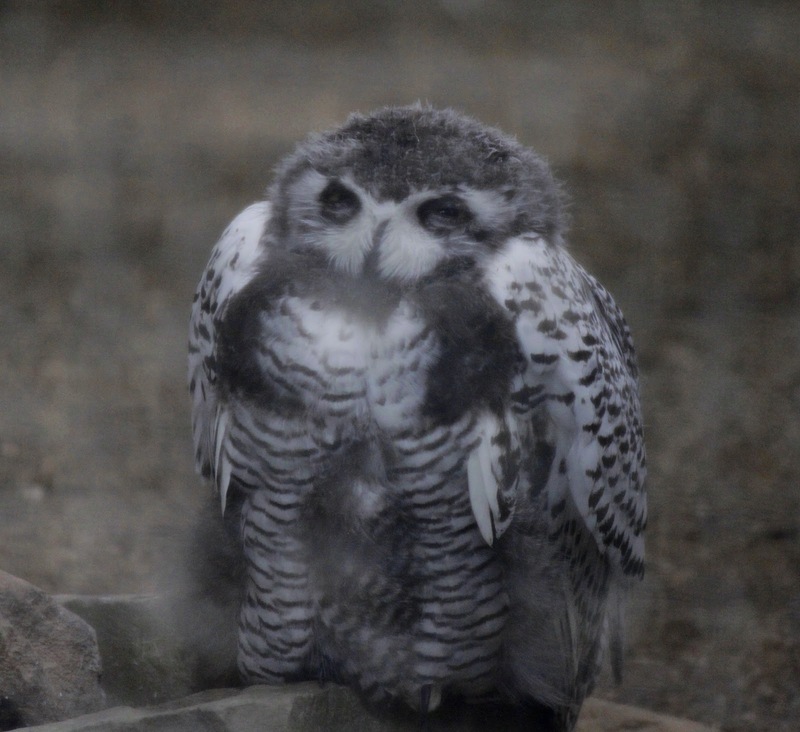 An adorable young Snowy Owl! 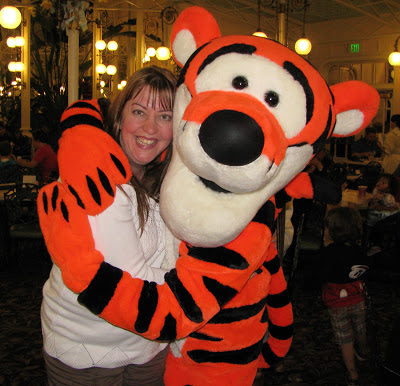 October- I spend an amazing week in Florida with my friends, Patricia and her husband, Greg. I scratch another thing from my life list in honor of my Mom, swimming with a dolphin. I also have my birding highlight of the year, which you can read about here. See the look on my face? Pure joy, and that pretty much sums up the whole Florida trip. November- Rob and I surprise all our friends and family by getting married in our home on what would of been Mom's 73rd birthday. December- My favorite month of the year! I always enjoy all the get togethers of the season. 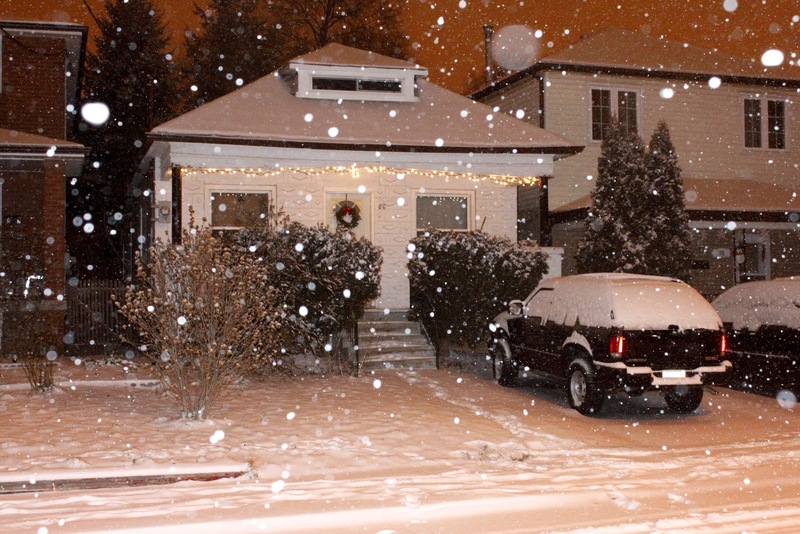 We also enjoyed our first good snowfall of the winter. 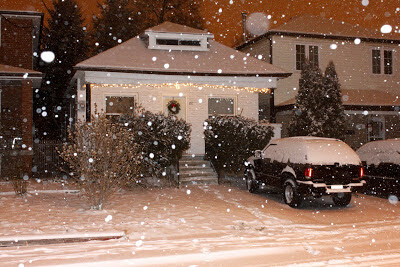 It was nice to get some snow! 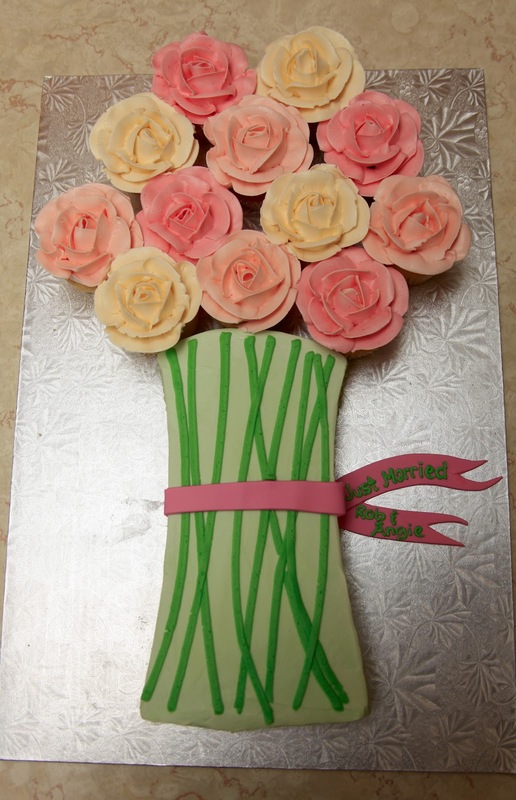 It's been quite a year for you! All the best in 2013!